I absolutely love the February holiday Galentine's Day. Born from "Parks and Rec", Galentine's Day let's us celebrate the love we find in our female friendships. One section of my book, "Well Played", is dedicated to playing with your friends. Keeping those relationships strong, and fun!, and this is the perfect excuse to get together or send love to long-distance pals. Classroom Valentines are so dang cute, and usually filled with awesome puns (that often go over kids heads). Minted has some amazing designs this year and I'm tempted to drop them in all my neighbor's mailboxes (would that be super weird? ).You'll need a larger envelope if you chose to send them off to friends since these are too small to mail. I really love the Social Media and Food & Drink themes at Minted right now, but they're truly all great. You can even grab matching stickers, and have printing done right on them to save the time signing them all. I think they'd be great to sneak into a friend's purse during your next brunch date at any time of the year. 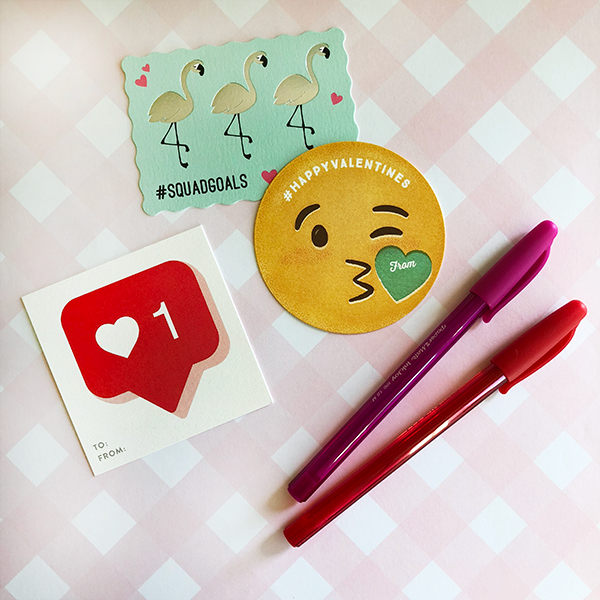 If you have a Galentine's Day get together, try copying another classroom idea and have everyone craft their own "mailbox" to drop valentine's in for one another. Grab your craft bin, or run to the dollar store to stock up on some pom poms and hot glue, then decorate a small box. Take a friend to a wine or chocolate bar, or create one at your home. 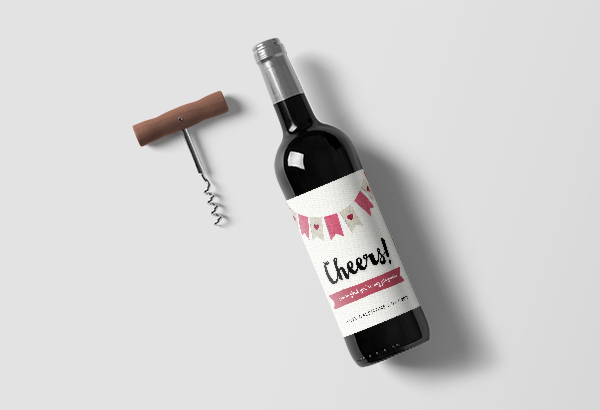 Print off your own wine label to celebrate the occasion, and crack it open or save it for your Galentine's celebration next year making it a tradition. I've found some really cute custom labels over on Etsy in the past, and wanted to share my own this year. Use sticker paper, or just normal paper and some fun washi tape, to make the bottle your own. This printable is 3 1/2" x 4" and should fit any wine bottle. Reclaim classic date night for you and your friends. Host a binge-watching party or movie marathon at home, or if you can, make a reservation at your favorite restaurant and movie theater. Giving your mate a list or book of reasons you love them can be pretty romantic. But it can also be a great way to show your playmates how much you appreciate their friendship. If you're feeling creative, DIY a booklet, but if that's not your thing there are some great books you can buy and fill out with custom sentiments. Knock Knock has a great "Fill in the Love" series that I've gifted a few times to different family members, and they make such a great present for friends too. They're the perfect size to keep around for when your friend needs to feel a little bit of love. I hope this inspired a few ideas for you to share with your girlfriends how important they are to you. If you can't get together for Galentine's Day, pick another day this month and block out time just for you. 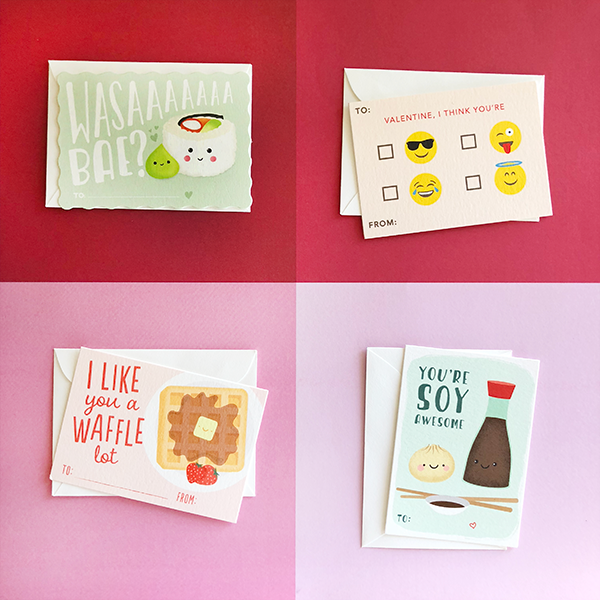 * Minted did not sponsor this post, but they did send me some super cute valentines that I plan to share with friends and family.